The European Parliament recognised on Thursday (31 January) the Venezuelan opposition leader Juan Guaidó as president of the Latin American country and called on the EU and its member states to follow suit. “I am happy to announce that the European Parliament recognizes Juan Guaidó as the legitimate interim president of Venezuela,” Parliament president head Antonio Tajani said after the vote on the resolution. The Parliament is the first EU institution to take a firm stand in acknowledging Guaidó, the chair of Venezuela’s national assembly who proclaimed himself president only a week ago in an attempt to oust Nicolás Maduro. 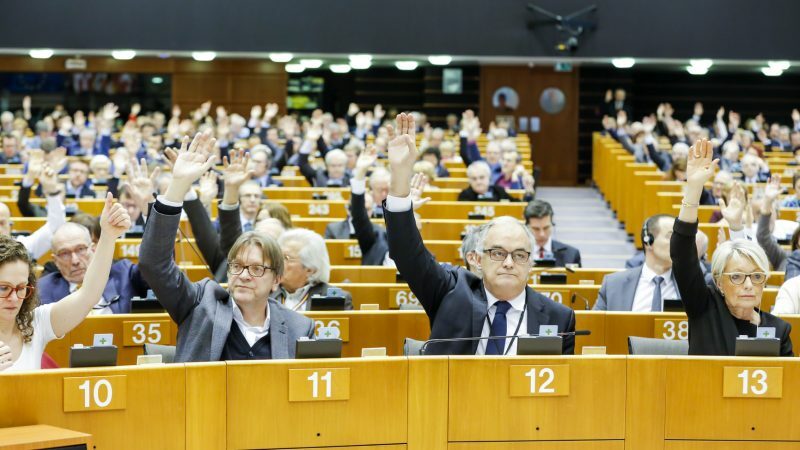 The resolution was largely backed by the main political groups in the Parliament, the European People’s Party, the Socialists and Democrats, ALDE (liberals) and the European Conservatives and Reformists, with 439 votes in favour, 104 against and 88 abstentions. Russia accused the United States on Thursday (24 January) of trying to usurp power in Venezuela and warned against military intervention, putting it at odds with Washington and the EU which backed protests against one of Moscow’s closest allies. For Spanish EPP MEP Esteban González Pons, the resolution of the Parliament “certified the end of Nicolás Maduro’s regime.” Pons defended a peaceful political transition that would lead the country out of the crisis. S&D MEP Ramón Jauregui insisted that the resolution rejects any use of force or international intervention in the country. “There can only be a peaceful and democratic solution,” he stressed. However, members of the Greens and the European Left voted against. 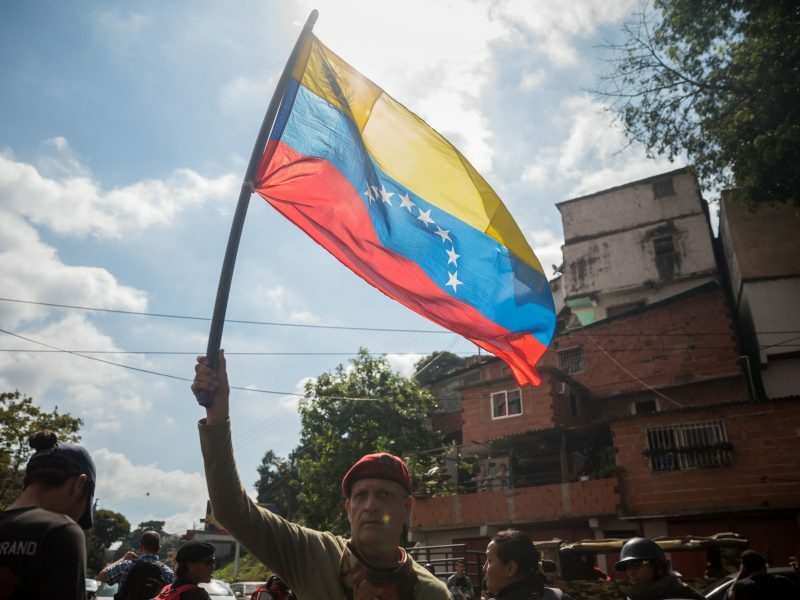 The Green MEP called for the crisis in Venezuela to be solved through political dialogue and therefore supported the creation of an international contact group, as proposed by High Representative Federica Mogherini. Most of the foreign interventions in Latin American countries in the past were carried out by the US. President Donald Trump was the first international leader to recognise Juan Guaidó. Left MEP João Pimenta accused the EU of supporting the US “coup” in Venezuela. “Will the EU support a US military intervention or the peace and dialogue proposed by Mexico and others?” Pimenta wondered. In a telephone briefing for the media, Kimberly Breier, assistant secretary in the Bureau of Western Hemisphere Affairs of the US government, called for a peaceful resolution of the crisis in the country. MEPs urged the member states and the High Representative Federica Mogherini to agree with the chamber and extend their recognition, as EU28 foreign affairs ministers were having an informal gathering in Romania on Thursday and Friday. On its resolution, the Parliament condemned the episodes of violence that have led to dozens of casualties in the past few days and support a peaceful solution to the conflict, including by putting forward an international contact group. Venezuela has been in a deep social and economic turmoil for the past few months, which has forced more than 3 million people to flee the country. The US Ambassador to the EU, Gordon Sondland, praised the European Parliament “for standing with the people of Venezuela” and called on the EU and member states to follow suit. The European Parliament has passed several resolutions in support of the people in Venezuela and a democratic transition in the country. In 2017, it awarded the Sakharov Prize to Venezuela’s democratic opposition. Foreign ministers of EU 28 member states are gathering in Bucharest for an informal meeting. The establishment of an international contact group to mediate in the Venezuelan conflict tops the agenda. “Our position is already very clear,” High Representative Mogherini said upon arrival. “We clearly called for new elections that have to be fair, free and supervised,” she pointed out. She recalled that the EU had shown its support to the National Assembly as the legitimate democratic institution and the role of its president, Juan Guaidó while putting in question “from the very beginning” the results of the elections last year. In line with this position, the EU ambassadors did not attend Maduro’s inauguration. 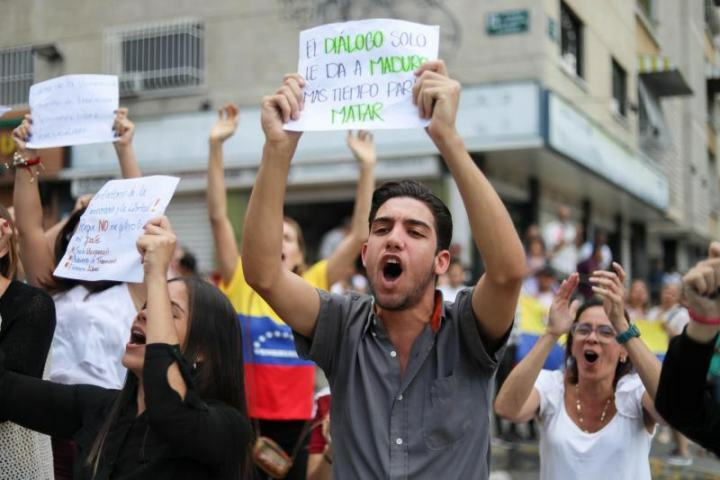 The head of Venezuela’s opposition-controlled parliament and self-proclaimed interim president, Juan Guaido, said on Wednesday (30 January) more than 5,000 brief protests were staged around the country to demand an end to what they call the “usurpation of power” by President Nicolas Maduro. EURACTIV’s partner efe-epa reports. 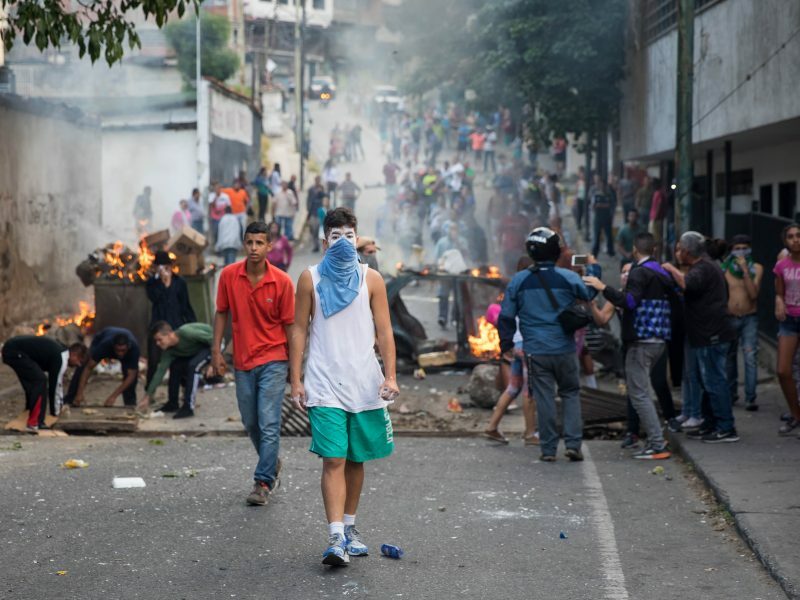 In a previous statement, Mogherini said “the people of Venezuela have massively called for democracy and the possibility to freely determine their own destiny. These voices cannot be ignored”. Despite the pressure coming from the European Parliament and dozens of other countries, including the US, Canada, Australia and Israel, the ministers EU are not expected to recognise Guaidó immediately. The objective is to take the necessary measures to avoid an escalation of the conflict and ensure a democratic transition in the country. Amid growing pressure by Latin American presidents to recognise the self-proclaimed president of Venezuela, opposition leader Juan Guaidó, the EU is reluctant to follow the steps of the US and instead called on Thursday (24 January) for “free and fair elections”.